Having grad uated from Anglo European College of Chiropractic (AECC) in 1996 Annette worked in Kings Lynn before moving to Basingstoke in 2000 working at the Basingstoke Chiropractic Clinic. She set up The Spine Team with Gordon Linscott in 2004 and was principally involved in the development of our main Basingstoke practice in Brighton Hill. Annette specialises in rehabilitation of patients with chronic (long standing) back problems and developed core stability programmes for The Spine Team. She has researched the advantages of core stability exercises and the importance of implementing it successfully into practice. As a post graduate Annette studied postural fault and analysis with the Prague School at Charles University, Prague under Professor Pavel Kolar with Professor Karel Lewitt (2005) working with developmental failure as seen in cerebral palsy. She studied with Professor Stuart McGill (2002 – 2004) in the pathophysiology of back pain and Dr Craig Liebenson in back pain rehabilitation (from 2002 to 2006). 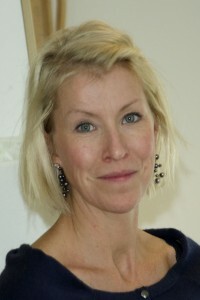 Annette has studied under Professor Steven Linton and Professor Chris Main in the ‘flag’ system of back pain management, also looking at the work of Professor Peter O’Sullivan integrating clinical psychology and physical therapeutic intervention for chronic back pain. She studied under Professor Kim Humphreys in Switzerland looking at the testing and treatment of Benign Paroxysmal Positional Vertigo (BPPV) (2009). Annette believes that many practitioners in orthodox and alternative medicine fail to understand the importance of the patients perspective and the damaging effects of suffering long term pain. She focusses on providing patients with more individualised care and progressing them to self-management options where appropriate. This is extended in Annette’s practice to wellness and good self management in all areas of health and nutrition. Quality and effectiveness of care are important to all practitioners of The Spine Team and Annette is therefore currently working to identify ways of improving quality, effectiveness and satisfaction to all patients. Annette has worked to improve the care for ladies during and after pregnancy, she has studied the diagnosis, treatment and management of Pelvic Girdle Pain. Annette feels it is vitally important that these Mums and Mums to be understand that the condition can really be helped with a better understanding and management by themselves with treatment to help them get through the bad spells and bak to enjoying their pregnancy and their new baby.